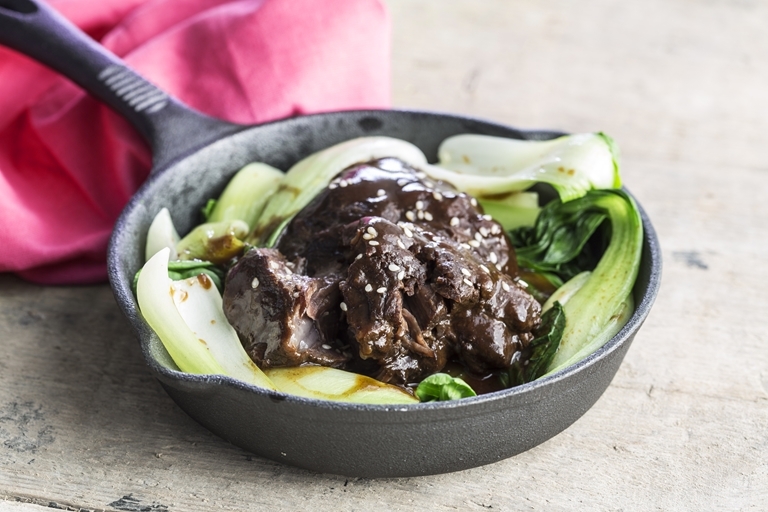 Martin Wishart's sumptuous braised pork cheek recipe is cooked in a pressure cooker, for a speedy, nutritious meal. The tender five spice-infused cheeks are served with lightly wilted pak choi flavoured with sesame oil. Although steeped in the techniques of the classical French kitchen, Martin Wishart’s culinary imagination has a distinctly contemporary edge.